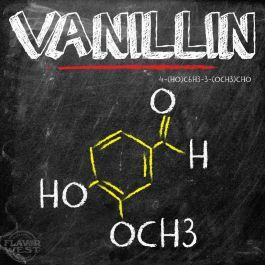 Vanillin flavor serves as enhancer and sweetener that make your treats taste better. Type: Vanillin Powder. Ingredients: 100% Pure UPS Kosher Grade Vanillin Powder. Usage Rate: 10% for E-use. Flavor suitability: Desserts, cakes, pastries, smoothies, drinks and more. Usage Rate: 10%. No Refunds on Flavoring.